Introducing our Secretary-General Christopher, better known as renowned DJ Chris24, a Model UN veteran with 8 years of experience, during which he served on the secretariats of both SSUNS and McMUN. Chris is a Montrealer majoring in Finance and Computer Science and aspires to become a Cyber Security Risk Consultant after graduation. An enthusiast for the colour pink, the talented Chris24 enjoys playing soccer, fencing, dancing and playing the piano during his free time. You may spot Chris rocking a suit or chilling in some sweats, but never jeans. It’s also not a McParté without DJ Chris24 - this will be his fourth time DJing the one and only McParté (not in jeans though). Esli, our friendly and hardworking Chargée d’Affaires is excited to work more closely and further interact with delegates, having previously served as Deputy Committees for Specialized Agencies. Hailing from Vancouver, Esli is a fourth year Honours Political Science student with a minor in Social Entrepreneurship. When she’s not studying (or living) at Café Ambrose, Esli loves hiking, being outdoors, and following corgis on Instagram and in real life. 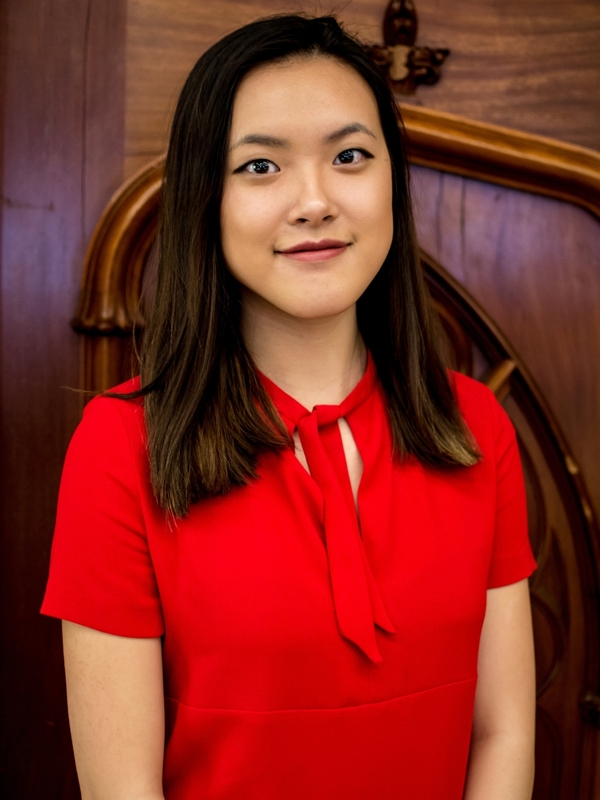 After graduation, she would like to continue studying law, foreign policy, and/or dog parenthood, but as for McMUN 2019 we can’t wait to see how she broadens the delegate experience beyond their committee room, and strengthens connectivity within the MUN community. Meet Sam, your Chief of Staff for McMUN 2019! 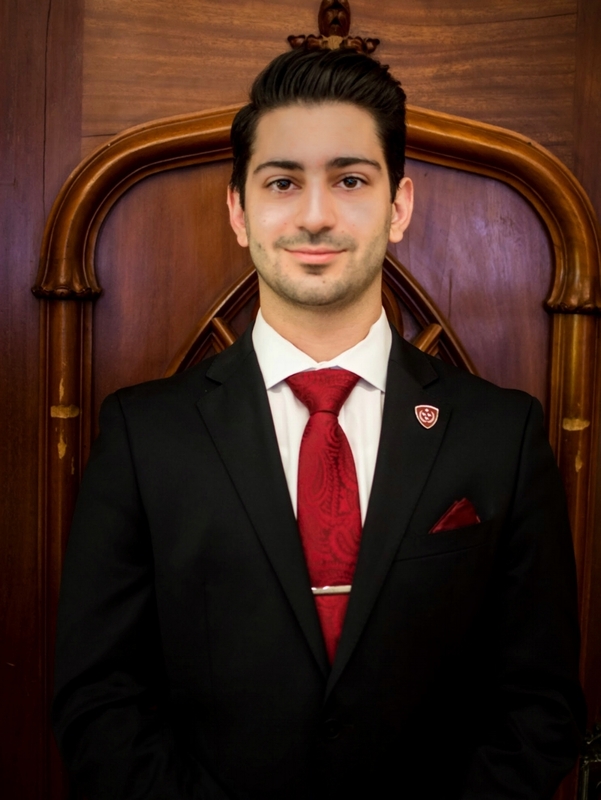 Sam was born in Bulgaria but was raised in Montreal, and he is now entering his third year at McGill Law. 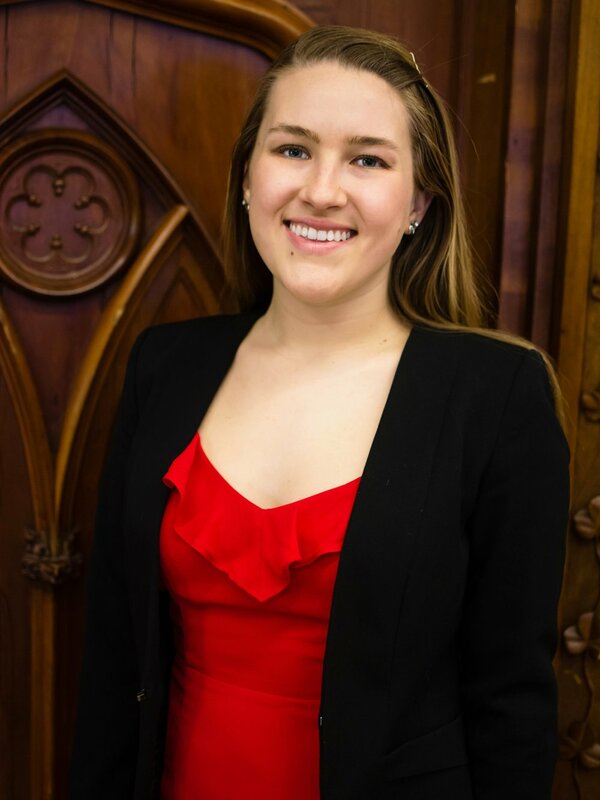 Sam is incredibly active in the student body, being involved with the McGill Business Law Association, Journal of Sustainable Development Law, and the Judicial Board of the Students’ Society of McGill University. 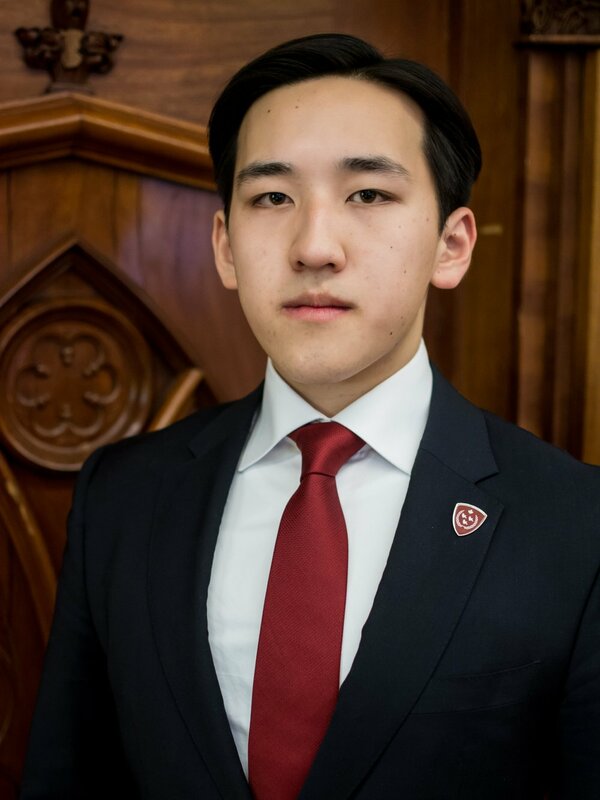 He has also been passionate about Model UN for close to seven years, and he attended McMUN as a delegate before holding the positions of Food Coordinator and Director of Public Relations at the conference. When he’s not busy with McMUN, watching politics-themed TV shows, or learning classical languages, Sam loves being outdoors - you can frequently find him playing tennis and swimming! Meet Matthew, the Chief of Operations for McMUN 2019! Born in Greece, raised in Shanghai, and having lived in Ontario, Matt now finds himself in Montreal studying Microbiology and Immunology after he felt the urgency to tackle the antibiotic crisis when he saw Contagion. There are very few things Matt doesn’t do (except chill). He keeps himself busy by working in two fintech startups, running Blockchain at McGill, and coordinating sponsorship for McGill’s Science Orientation Week. Matt wants to be a New Yorker (without living in New York) and speaks English, Chinese and French (allegedly). When Matt is not working on his projects, he enjoys photography, skiing, long distance running, cooking, and hanging out with the lads. 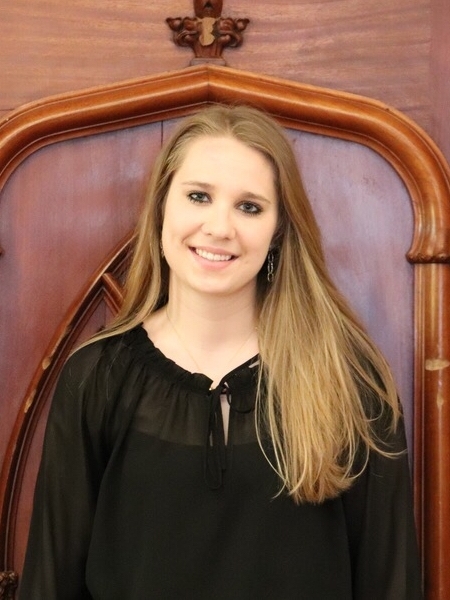 Meet Madeleine Kausel, the USG Committees for McMUN 2019! 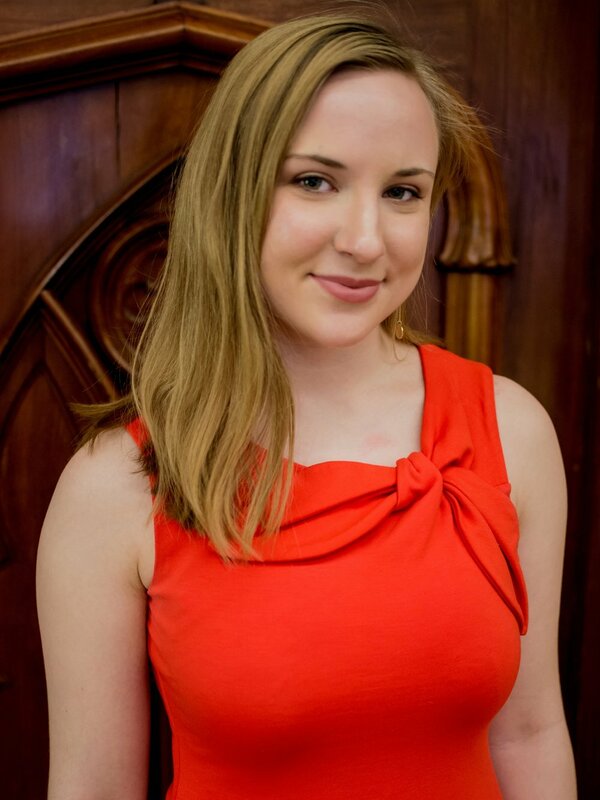 You might recognize Maddy from her extensive involvement on the Model UN collegiate circuit, having previously served as McMUN’s Deputy for General Assemblies as well as Head-Delegate for McGill’s Delegation Team. She may be a true citizen of the world, holding Canadian, American, and Chilean citizenship, but at heart she’s a sweet-tea loving Florida girl! When she’s not buried in books trying to finish her Honours Political Science degree, you will most likely find her at a Mandy’s munching on salad (she claims it’s totally worth the price), spending time with her sorority sisters, or mapping out her future career as a lawyer while aspiring to become a full-time corgi mom (which is just a ploy to spend more time with her best friend Esli). For the time being McMUN is her priority and she can’t wait to see the committees being brought to life, so don’t hesitate to stop her in the hall and chat her up! Hailing from Toronto, Ontario, Erin McGifford serves as our powerhouse USG Finance. She is currently in her fourth year of commerce studying Information Systems with a concentration in Finance. 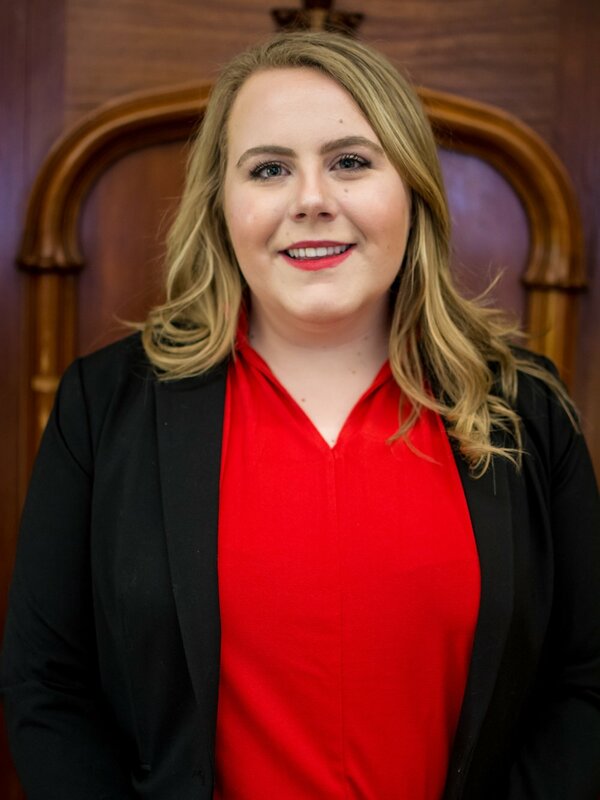 With this being her 8th year of MUN, Erin is truly familiar with the ins and outs of the conference, previously serving as a Delegate Resource Centre Coordinator. She is excited to integrate more technological efficiencies into the finance portfolio in her final year at McMUN. In her spare time, Erin can either be found at the top of the Mount Royal lookout or on the dance floor at Café Campus. Make sure to chat with Erin during McMUN weekend if you’re also an avid fan of the Leafs or Blue Jays, interested in baking or cooking, or would like to know more about her musical talent in playing “Sk8rboy” on the trombone. Introducing our very own fun-sized Audrey Cryan -- USG IT for McMUN 2019. Audrey is currently an Honours Economics student with a minor in Computer Science. Originally from Rhode Island, she is a lover of all outdoor activities, such as hiking, camping, white water rafting, kayaking, and rock climbing. Driven by her passion for the environment, Audrey tries her best to lead a zero waste lifestyle. She is determined to build environmentally friendly smart houses in the future. In her free time, Audrey is also a professional spring roll maker -- the dinner party does not get rolling until the Cryan rolls in! Introducing Laine, our very own, very lit Director of Events. Laine is in her 4th year at McGill majoring in Political Science and minoring in Communications. She first got involved with McMUN last year as one of our Coordinator of Events and is ready to take on the Events portfolio herself this year. Her favourite thing about McGill is the student run social events around campus since there is always something fun going on! On her spare time, she enjoys hanging out with friends either watching movies, eating pizza (with pineapple) or probably playing tennis and/or skiing since she was an instructor for both (please let us know if you would like lessons for either)! Her favourite event at McGill is the Open Air Pub hosted at the end of every Winter semester and the beginning of every Fall semester. When asked what event the delegates should prepare themselves the most, she answered “the bar crawl its gunna be wiiildd”. Meet Hawa, your Director of Public Relations for McMUN 2019! Born and raised a Montreal local, Hawa went to Marianopolis College in Honors Health Science, during which she found her passion in International Relations and Diplomacy after attending McMUN twice as a delegate. In her first year at McGill, Hawa served as the Food & Local Sponsorship Coord for McMUN 2018 and represented McGill at BarMUN and NaMUN, taking home a Best Delegate award. Today, she’s in her second year of pursuing a degree in International Development Studies and Political Science at McGill University, where she serves as the President of Amnesty International to best fulfill her passion for Human Rights and Development. 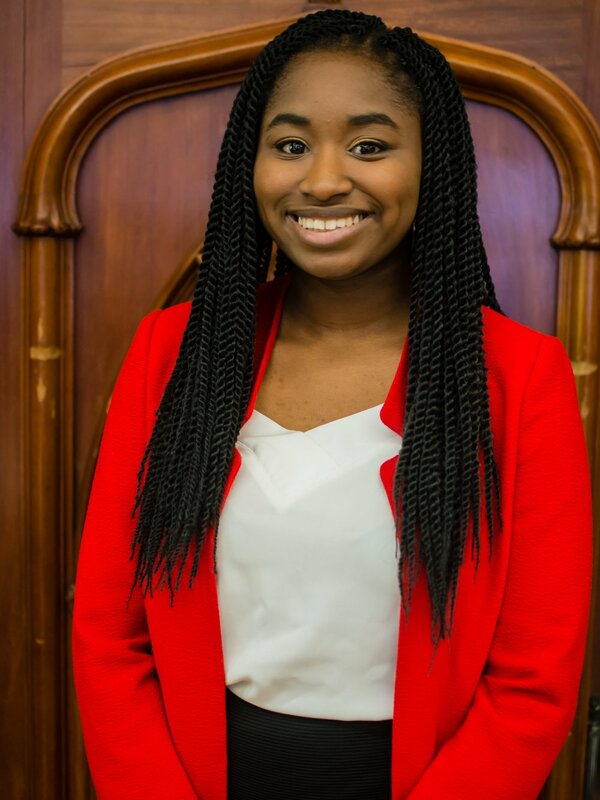 When not in McGill, you can find Hawa working at the municipal library in Ville de Sainte-Catherine, eating Ben & Jerry’s with her friends (ask her about the Bernie Sander’s flavor), or tuning out to the various educational programs on TLC (The Learning Channel). Hilary, serving as your Deputy of Public Relations, is a third year Management student majoring in Finance with a concentration in Global Strategy and Entrepreneurship. 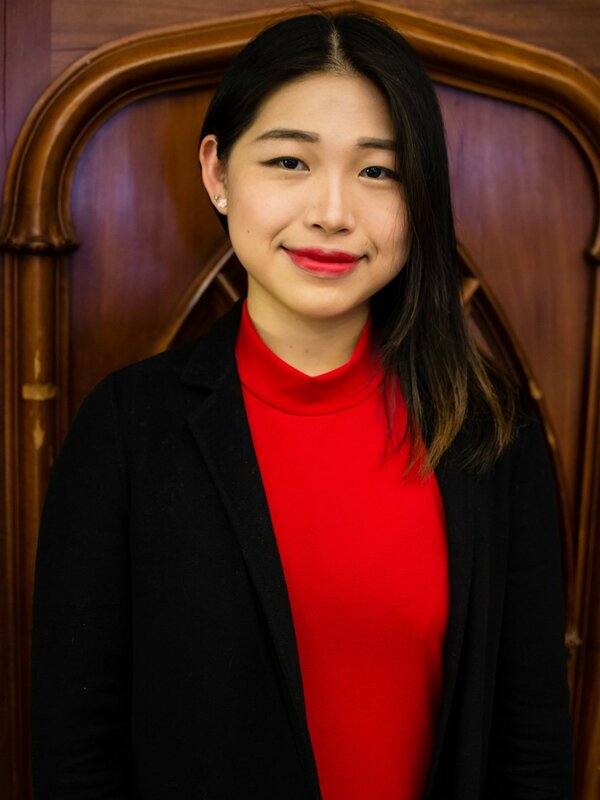 She is from Seoul but grew up in Shanghai and actually never visited Canada before coming to McGill! Hilary’s dream job is to sell her soul, erm, work as a venture capitalist in Silicon Valley. When she’s not busy in Bronfman Hilary enjoys discovering new restaurants in Montreal, watching Brooklyn 99, and practicing her photography skills. She also has a love of traveling, having visited over 15 countries. Hilary’s extremely excited to see the Secretariat’s hard work pay off and meet you all in January! Meet Natalie, your Deputy GAs & ECOSOCs! Originally from Kansas City, Natalie moved to Montreal to study political science and communications. After graduation she wants to live in Germany before going to law school and possibly perusing federal agency work in the US. She has been involved in debate and model UN, her favourite activities, for about 5 years now! Natalie loves the way MUN teaches people to think critically, feel empowered and be confident. She also believes MUN is a great activity for developing long-lasting friendships and personal growth. This year, she wants to help create the positive culture at McMUN that she has enjoyed for the past 5 years! Meet Jorge, your Deputy SAs! Jorge is in his 4th year of a B.A. with a major in Political Science (Honours) and minors in East Asian Studies and Film. Born in Colombia, he grew up in Canada. He has been involved in Model UN for over seven years. At McGill, he serves as the coordinator for Junior Peacemakers, an IRSAM program that aims to foster global awareness in elementary school students. When he is not working on McMUN or Junior Peacemakers, he is watching Pedro Almodovar films and Italian classics, or playing tennis. 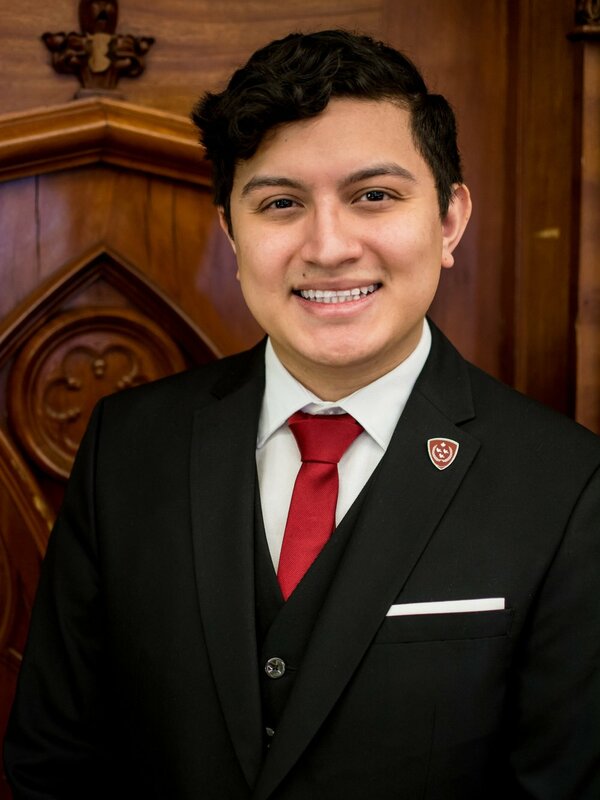 After completing his undergraduate degree, Jorge aims to go to law school and move to Barcelona. Meet Eric, this year’s Deputy USG Crisis. He is proudly from Mississauga, Ontario and will gladly tell that to anyone willing to listen. He not only identifies as Canadian but also as Polish. Both of Eric’s parents were born in Poland and he was raised speaking Polish at home. Eric is currently in his fourth and final year at McGill, planning on graduating with a double major in History and Political Science. When not studying, Eric can be found biking, playing soccer, or exploring Montreal. However, his all time favorite place is Cafe Campus. Self proclaimed as the “Cafe King”, Eric never disappoints to invite all of his friends out on a Tuesday night to go Cafe Campus. If you are looking for someone to discuss world history or just need someone to hang out with at Cafe Campus, Eric is your man!